Whatever the reason, you may be suffering from back pain. It is the most generic of all pains that we suffer from. It’s important to look after your back as if you permanently damage it, it’s going to cause you grief for the rest of your life. I used to work in an office sat at a computer 8 hours a day. This caused me a lot of back pain as I was sat down for so long. Human beings aren’t designed to be sat stationary at a desk for long periods of time. Below you will find several stretches for a bad back. I have also included ones you can do whilst sat at a computer desk. I could have really done with knowing these at my previous job. 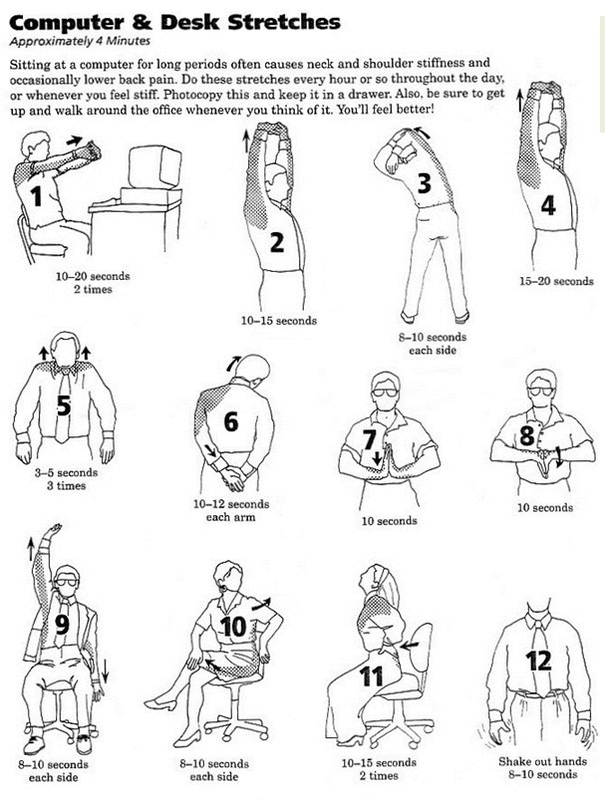 These stretches will definitely have a big impact on the condition of your back whilst working at a computer desk. These stretches are good to do at home where you will have plenty of floor space, these stretches are focused around the relaxation of the lower back. Finally a few more stretches that you can try out at home. I hope this has provided you with enough different types of back stretches that you can try out. Implementing these into your daily routine will be sure to help alleviate some of the pain that you are experiencing. I hope that you found these stretches useful, if you are suffering from a bad back and you try these stetches out, it would be lovely to hear some feedback from you. The aim of this post is to try and help people who are suffering from real back pain by showing exercises that you can perform to strengthen and stretch out your back. Thank you for visiting Boss Body UK.